* Our beautiful Vintage Wedding Comb boasts a bold Crystal design with Art Deco drama sure to add panache to any bridal hairstyle. * This 3 7/8" w x 2 5/8" h hair comb makes a great wedding statement when paired with one of our popular birdcage veils! * This elegant 1920's style bridal hair comb is a must have for every retailer's and stockist's wedding hair accessory display. 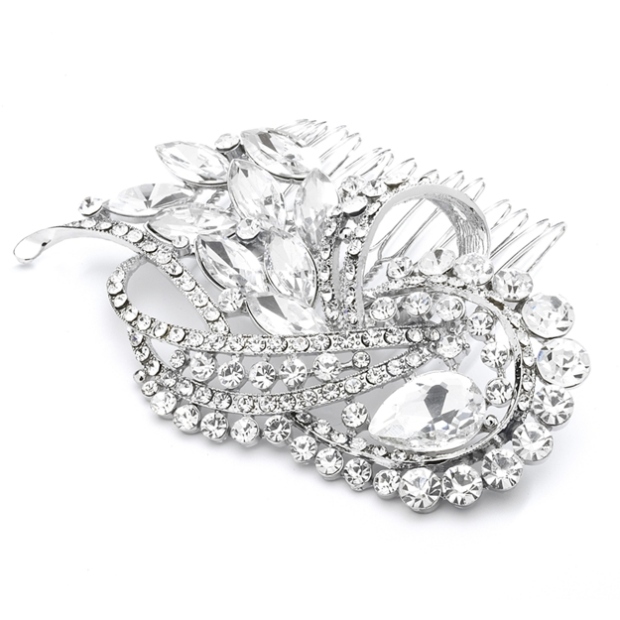 * This popular comb features a bold swirls of Crystals to make a dramatic wedding, prom, homecoming or pageant headpiece. * Add one of Mariell's top-selling face veils or vintage birdcage veils (122V, 730FV or 3900V) for a great retro glam bridal headpiece.